Jennifer Myhre begins her seventh season as the Ravens’ women's soccer coach in 2017. Over the past years, Myhre has grown the team and their impact on and off the field. Last year the team had their first winning season in 15 years, finishing 8-5-3 and the women have had continual improvements over Myhre’s leadership. Off the field, Myhre has fostered a close-knit family, where the team serves one another in love and strives to be champions in all areas of life. The team has consistently received the NSCAA Team Academic Award, with numerous players on the HCAC All-Academic Team. Previously, Myhre spent two years as the assistant women’s soccer coach at Carnegie Mellon University. She also served at Luther College as an assistant women’s soccer coach and special assistant to the athletic director through the NCAA Division III Ethnic Minority and Women’s Internship Grant program. 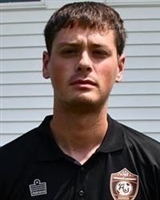 Outside the college game, Myhre was an assistant coach at Northern York (PA) High School, involved with PA West ODP, and has served as a coach with Athletes in Action’s soccer mission trip. Myhre graduated from Messiah College with a Bachelor of Arts degree in sports and exercise science, as well as a Bachelor of Science degree in accounting. She then received her master’s degree in Education through the Intercollegiate Athletic Leadership program at the University of Washington. During her four years playing at Messiah, the Falcons captured the NCAA Division III National Championship in 2005, were semifinalists in 2004 and 2006 and tournament finalists in 2007. As a student-athlete, Myhre was elected president of the Messiah Student-Athlete Advisory Committee (SAAC) as well as the Middle Atlantic States Collegiate Athletic Corporation. Myhre has obtained the NSCAA Premier Diploma and has a USSF “C” coaching license. She is a graduate of the NCAA Women's Coaches Academy, NACWAA HERS program, and was selected as one of the 2015 recipients of the NSCAA 30-Under-30 program. 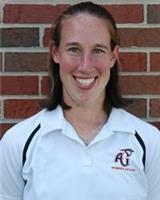 Additionally, Myhre serves as the Assistant Athletic Director, Senior Woman Administrator, and SAAC Advisor. 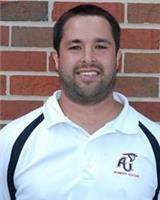 Stephen Girt is in his sixth season as an assistant women's soccer coach at Anderson University. His main focus is the overall tactics of the game and individual player development. 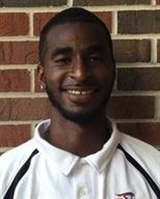 Girt played soccer at Anderson for four seasons and graduated with a Bachelor's Degree in Information Systems. In 2011, he served as the assistant boy's soccer coach at Pendleton Heights High School, and has served as a camp counselor/coach at Anderson University soccer camps since 2006. Dan Spiceland is in his third season as an assistant coach for the women’s soccer program. 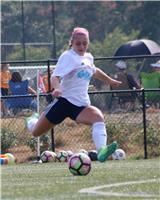 Spiceland's main duties entail working with the attacking players, individual player development, and coaching the program’s extra games, which allows players to have game experience beyond the regular season schedule. Spiceland brings 17 years of coaching experience to AU. 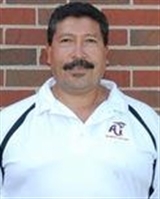 He is also in his sixth season coaching at USF Real Soccer Club in Greenfield. While at USF he has coached both Boys and Girls teams, including the first MRL team in club history. 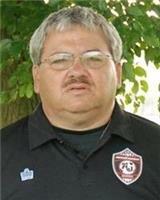 He previously coached for five years at Franklin Central High School and also at Franklin Township Soccer Club. Spiceland graduated from Lipscomb University with a degree in business administration in 1998. He added his MBA from Indiana University in 2004. He holds a USSF National D License, NSCAA Goalkeeping Level I and II Diplomas, and a NFHS/NSCAA Professional Development Certificate. Bailey Shattell begins her first season as the graduate assistant coach for the Ravens. Shattell comes to Anderson after a remarkable four-year career as a student-athlete at Houghton College, where she not only played soccer, but basketball and softball, becoming the school’s first three-sport athlete. During her tenure the Highlanders won the NCCAA Women’s Soccer Division I National Championship in 2015 and Regional Champions in 2013. Shattell served her team as Captain her Junior and Senior years, was the Team’s Chaplin her sophomore year and an active member of the Highlanders’ SAAC. She was named to the Empire 8 All-Conference team and selected as the Sportswoman of the year in 2015. Shattell graduated from Houghton with a degree in Physical Education and minors in Sports Ministry and Business Administration. She further exceled in the classroom being named an All-American NCCAA Scholar Athlete in 2016. In addition to coaching, Shattell assist with the team’s logistics, scouting and recruiting. Shattell is pursuing a MBA at Anderson University. The 2018 season marks Scott Fridley's 28th year coaching Anderson University’s men’s soccer program. He also has 28 years of club coaching experience and has taken his AU teams on eight European trips, including this past summer. Fridley’s teams have won two regular season HCAC Championships (2000, 2004) and two HCAC Tournament Championships (2000, 2002). The Ravens made five straight appearances in the HCAC Tournament final from 1998-2002, and again made the finals in ’05, ’10, ’12 and ’14. The veteran coach’s players have been named HCAC First or Second Team All-Conference 76 times, and he has coached three HCAC Most Valuable Players. Under Fridley, the Ravens have been named to the NSCAA National Academic Team 19 of the last 20 seasons, and have won the NSCAA National Ethics Award five times, the only men’s program in the country to achieve this honor. In 2000, Fridley led the team to a school-best 13-8 record and the school’s first regular season and post-season HCAC Championship. A four-year starter in net for AU, Fridley still holds many of the school’s goalkeeping records. He earned his bachelor’s degree in Business from AU in 1991. He minored in Christian Ministries. Fridley resides in Anderson with his wife Wendy. They have five children: Aaron, Austin, Casey, Madison and Mason.